Sigma has released a range of firmware updates for some of their Art, Sports and Contemporary lenses for both Canon and Nikon to add feature support and fix a few bugs. There’s also an update for the Sigma MC-11 adapters expand lens compatibility. If you own the DJI Spark drone, soon you won’t be able to fly it if you don’t update the firmware. DJI is releasing a firmware update this week, aimed at increasing flight safety and the drone performance. All Spark users will need to download the update by September 1st. Otherwise, their Spark won’t be able to take off. New firmware updates have been released for Canon’s 1D X and Nikon’s D7100 and D5200 DSLR cameras. The Nikon updates (both version 1.03) include mostly minor fixes, and an annoying bug that would cause the cameras to freeze when using the automatic “Clean Image Sensor” option. Canon’s update only fixes one issue where autofocus is initiated when it should. Unlike Sony’s announcement regarding the a7R II firmware upgrade, Nikon’s update deals with camera models that have already been replaced. Nikon’s had a big day for firmware updates today. Along with releasing them for two of their Coolpix cameras and their entire mirrorless line, they had some major upgrades ready for two of their DSLRs as well. If you own a D800 or a D800E, head on over and download it from the company’s official website through the links after the break. 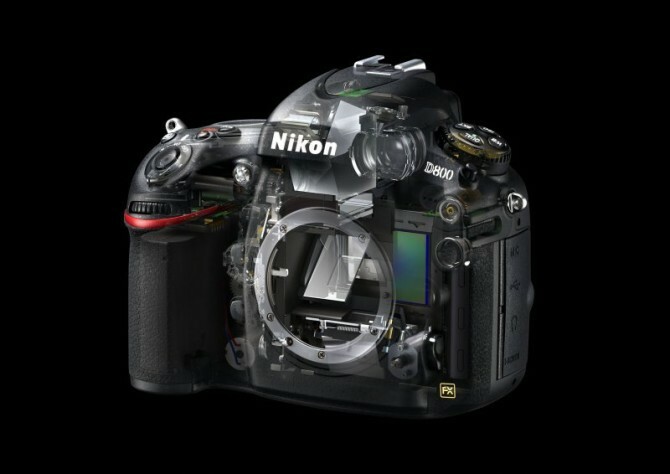 Considering Nikon rarely updates these cameras, you’ll want to take advantage of whenever they do. One of the most significant changes brought forth in this one is the fix to the memory card lamp, which is something Nikon’s tried addressing before. Hopefully they have it down this time, along with the rest of their changes.